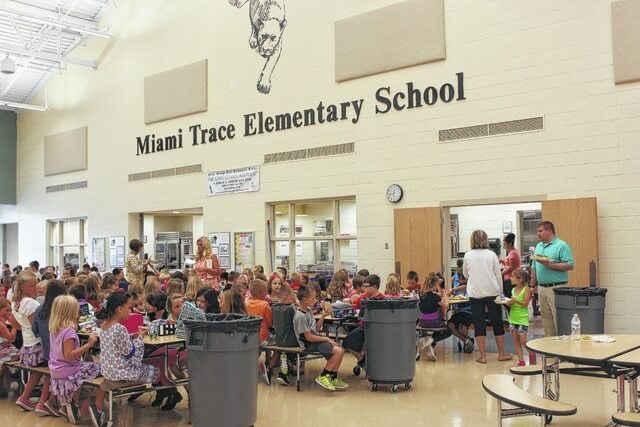 Miami Trace Local Schools started the 2016-17 school year Monday. These elementary students enjoyed lunch during the afternoon. The Miami Trace High School athletic and band boosters held the annual Rally In The Alley this weekend. Rainy weather forced booths to relocate indoors, just outside of the gymnasium. Miami Trace had a successful first day to the 2016-17 school year Monday as eager students, staff and administrators were greeted by beautiful skies and comfortable temperatures. On Saturday, the Miami Trace High School athletic and band boosters held their annual Rally In The Alley. 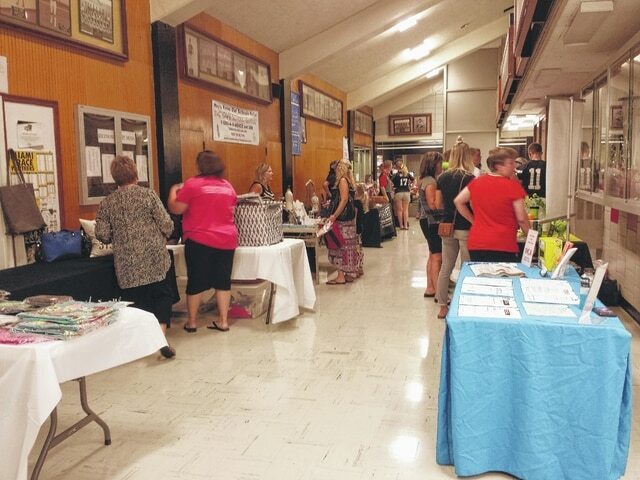 Rainy weather plagued the event, forcing booths to relocate indoors, just outside of the gymnasium. This fortunately did not stop people from coming, and residents who attended enjoyed delicious food and had the opportunity to purchase some Miami Trace clothing to support students. The organizers also took time to introduce the fall middle and high school teams and the marching band performed for patrons. Many booths were also available at the event, including Country Cakes and Bakes, Fayette County Memorial Hospital and LeElla Lanes. Staff writer Martin Graham contributed to this article. https://www.recordherald.com/wp-content/uploads/sites/27/2016/08/web1_IMG_9373.jpgMiami Trace Local Schools started the 2016-17 school year Monday. These elementary students enjoyed lunch during the afternoon. https://www.recordherald.com/wp-content/uploads/sites/27/2016/08/web1_RallyInTheAlley.jpgThe Miami Trace High School athletic and band boosters held the annual Rally In The Alley this weekend. Rainy weather forced booths to relocate indoors, just outside of the gymnasium.